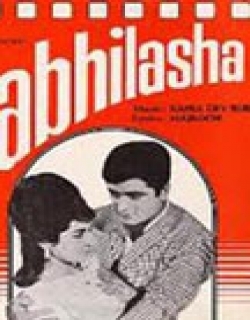 Abhilasha is a 1968 Indian Bollywood social film released on 1968. The film is directed by Amit Bose. A military officer's life undergoes a change when he is informed he's an adopted son. This happens just when his marriage is fixed and inevitably the wedding is called off with his grilfriend's mother disapproving the match. The officer begins to feel alienated from his immediate family but better sense prevails in the end. Every woman has a longing to be a mother. 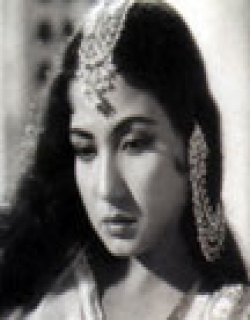 Meena, (Meena Kumari) wife of Brigadier Ranjit Singh (Rehman) was blessed with a child, but the cruel hands of fate snatched the child from her. Poor Meena lost all her happiness. . In the mean time DSouza (Butler of Brig. Ranjit Singh) was blessed with a son, but the destiny chose its own course. The mother died and the poor DSouza (Harindranath Chattopadhyay) was helpless. The child needed a mother and Meena wanted a child. Ranjit Singh adopted the child and took a promise from DSouza that this fact would remain a secret between them. After some time, Meena was blessed with a son of her own. Both the kids-Arun (Sanjay) and Ajay (Kashinath) were brought up with all the love and care without any discrimnation. After finishing their education, Arun became an Army Officer and Ajay a doctor. . Rai Bahadur Daulat Ram (Murad), an old friend of Ranjit Singh (now Major General), had a daughter named Ritu (Nanda). She started loving Arun and he also loved her. Ajay had no knowledge of their love. The fact was revealed to him when he saw them close together. . Rai Bahadur Daulat Ram staunchly believed in blood and heritage. He proposed to Singh the marriage of Ritu with Arun. Maj. Gen. Singh was very much perturbed because Rai Bahadur Daulat Ram had no knowledge of the secret of his family. [Source: Xerox Booklet] Check out this page for more updates on Abhilasha. This page provides latest and updated information about Abhilasha (1968) movie which released on 1968. 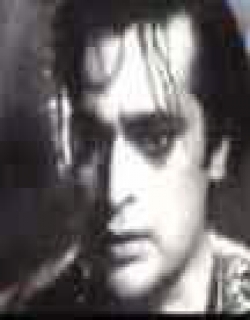 Abhilasha (1968) is directed by , produced by , starring .We have also provided 0 trailers and videos, 2 photos, 8 user reviews, and 0 critic reviews.Abhilasha (1968) has received 2.5 rating from user reviews.The overall rating of Abhilasha (1968) is 50 and movie is 2.5.You can review, like, dislike this movie and also can add to favorites. You can also find information on showtimes, CDs, DVDs, online rental, online free watching.